At St Cuthbert Mayne School we expect all of our students to aspire to have 100% attendance. There is a clear link between regular school attendance and student outcomes. Students who attend school regularly have a significantly higher chance of realising their full potential and have better life opportunities. Good punctuality is an important life skill. School starts at 8:40am. Students are expected to be onsite at 8:40am. Ready to Learn time starts at 8:45am. Students who arrive after 8:45am are marked as late in the register. Students who arrive after 9:15am are marked absent because they are late after the official register is closed. This absence is an unauthorised absence. There is a detention system in place for students who arrive late to school. It is the responsibility of parents/carers to report their child’s absence each and every day that their child is absent from school. To report a student absence parents/carers are asked to call the Absence Line (01803 317901) by 8:30am each day. Parents/Carers should give as much information as they can when informing the school about a student absence. If a parent/carer does not report their child as absent, then the absence will be recorded as an unauthorised absence on the official school register. If a student has 10 or more sessions (5 school days in total) of unauthorised absence from school, this may result in the Local Authority taking legal action. The school operates a first day calling system to ensure the safety and welfare of all its students. 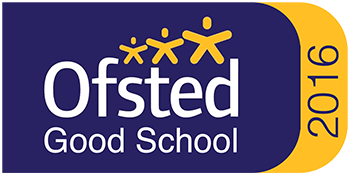 Parents/Carers who do not report their child as absent from school will be contacted by the school and in some cases a home visit will be undertaken by a member of staff from our Pastoral and Safeguarding Team. If we are unable to sight a student absent from call we will in some circumstances report this to the Police and Children’s Services. Legislation does not allow schools to authorise holidays during term time unless there is an exceptional circumstance. If a parent/carer feels they meet these criteria they are required to complete an Absence Request Form in advance of taking the absence, as legally they cannot be authorised retrospectively. School will notify the parents/carers whether it is legally able to authorise the absence based on the information provided. Any absence taken that hasn’t been authorised may result in the Local Authority taking legal action. School will require medical evidence where a child has been absent, for 5 days or more due to illness or where a child’s attendance is a serious concern and parents have been specifically requested to provide this. Medical evidence can include – Appointment cards, sick note or evidence of prescribed medication. If you are requested to provide medical evidence and are unable to do so the school will have no alternative other than to record this absence as unauthorised. If your child is due to be absent from school for a longer period of time then it is important that you contact your child’s Year Co-ordinator or Deputy Year Co-ordinator who will put in place a support plan for your child. All non-urgent medical/dental appointments should be arranged outside of school hours. Where unavoidable medical/dental appointments are made during school hours, students are expected to attend school before the appointment and return after the appointment. Students should present their appointment card or hospital letter when signing out for a medical appointment. It is important that parents/carers contact the school if they are concerned about their child’s attendance. The Year Co-ordinators and Deputy Year Co-ordinators are available to work with parents/carers and students to help improve attendance.